When planning your schedule for this year’s ILMC, one must-attend event is The WME Happy Hour. Quite possibly the most popular event of the week, it kicks off Wednesday night from 18:00, with all the guys and girls at WME Entertainment in attendance. A moment to wind down after the day’s mystical meetings and panels, the happy hour is 60 magical minutes of complimentary booze and nibbles. All delegates are welcome to attend, but be warned… it's a popular pit stop so early arrival is most definitely recommended. In The Manager’s Office: Conjuring careers MMF’s Fiona McGuganinvites a line up of leading artist managers to consider how they view the changing nature of talent development, and live music's place within it. Country Music: Walking the line sees Live Nation’s Anna-Sophie Mertensexamine how Nashville’s sound and ethos are influencing all genres in the business, while Semmel's Christoph Scholz previews stereoscopes, holograms, sideshows and the latest in non-music shows in Touring Entertainment: New illusions. In Diversity: Breaking the spell, PRS Foundation CEO Vanessa Reed leads a discussion about how the live business can attract and benefit from a more diverse workforce. The ever–popular New Technology: It’s a kind of magic sees host Steve Machin introduce the latest technology and innovation from across the business, whilst Attitude is Everything CEO Suzanne Bull chairs Accessibility: Unlocking the purple pound and asks how the industry is accommodating the growing numbers of deaf and disabled fans at live shows. To view the full schedule so far, click here. A host of German companies have signed up to support ILMC this year. And with this year’s German focus spreading throughout our sessions and events, this most vibrant live music market is very well represented at ILMC. One of this year's associate sponsors is Deutsche Entertainment AG, while ILMC's silver sponsor is CTS Eventim, who have a special announcement to make on Wednesday 7 March at 17:00 (see the main schedule for details). On Tuesday 5 March, Semmel Concerts, Stagelink, Megaforce and E.L.Hartz Promotion GmbH host The Platform 9 ¾ Magical Opening Party, which kicks off the conference proper from 18:00. And this year’s ILMC Gala Hou-Dinner & 25th Arthur Awards is hosted by DEAG, Commerzbank-Arenaand Ticketmaster GmbH. And last but definitely not least, longstanding ILMC supporters eps holding GmbH will provide this year's conference mini guides, while returning as top-tier sponsor for the ILMC Production Meeting on Tuesday 6 March. To see the full ILMC schedule click here. This year’s Breakfast Meeting interview is going to be an unforgettable edition… As the enigmatic frontman of one of the most influential rock bands of the 20th century, Roger Daltrey needs no introduction. Famed for his powerful voice and energetic stage presence, Daltrey is among the most charismatic of rock's vocalists, having sold over 100 million records worldwide across a 50-year career with The Who and as a solo artist. 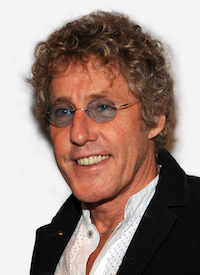 As an honorary patron of the Teenage Cancer Trust, Daltrey has been the driving force behind the annual Royal Albert Hall concert series since 2000, and with the recent publication of his memoir Thanks a Lot Mr. Kibblewhite: My Story, he adds author to a long list of job titles that include film actor and producer. As always, former Dire Straits’ manager and raconteur Ed Bicknell will ask the questions, and with one of the greatest careers in music to cover, it looks like an memorable edition of the Breakfast Meeting. As always, seating in the room is limited, with screens immediately outside the room for any late arrivals. Please note that this year’s Breakfast Meeting takes place on the afternoon of Thursday 7 March at 16:45. If you'd like to attend the Breakfast Meeting, and participate in the leading gathering of the international live music business, you better, you bet(ter) click here to register. As we head towards the holidays, ILMC registrations are flying out of the door faster than Santa on the 24th. So as something of an early Xmas present to all of our members around the world, here’s a sneak preview of five sessions set to be talking points of ILMC 2019. 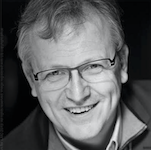 On Wednesday 6 March, Tim Chambers chairs Ticketing: Selling out is losing out, which considers whether in an age of dynamic ticketing, slow ticketing, always-on ticketing and a dizzying array of ticket types, perhaps it’s time that artists and promoters alike lost their obsession with sell outs. Read more Ticketing: Is selling out losing out?. Festival Forum: Fan first? 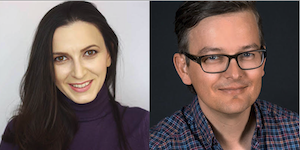 asks whether in the clamour to claw back ever-escalating artist fees and turn a profit, festivals are in danger of turning off their patrons, chaired by ARTmania’s Codruța Vulcu & Paléo Festival’s Dany Hassenstein. And also that day, Frukt’s Dom Hodge chairs Partnerships: I’m with the brand, which discusses what the next decade will bring for brand activation at festivals and larger events; marketing the brand in the ever-evolving digital space; and how the relationship with the fan is expected to change. On Thursday 7 March, Simkins LLP's Jessie Merwood leads Industry Investment: The power brokers to examine how the flood of investment is reshaping the industry it’s flowing into, and whether the price paid may eventually be too high for all. 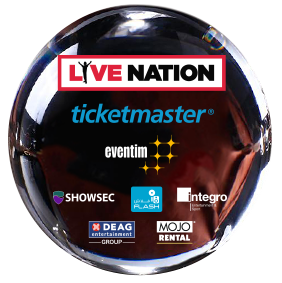 And the Thursday programme also boasts The Venue’s Venue: Close-up magic, as the Royal Albert Hall’s Lucy Noble stirs this year’s melting pot of topics, which include exclusive venue data, diversification of programming, innovation and pre-show entertainment. The full ILMC agenda will be published in January, but to ensure you’re part of the conversation at the leading gathering of the international live music business, click here to register.